Why Did We Start To Celebrate Father's Day? Father's Day is a special day for dads when they are pampered by their children, given gifts, and even surprised with breakfast in bed! Not many countries of the world celebrate fathers with their own official day. However, that is what is done in the United States every third Sunday in June. Father’s Day is a special day for dads when they are pampered by their children, given gifts, and even surprised with breakfast in bed! 1. It started in 1908 during a church service in West Virginia. 2. Vancouver, Washington was where the first Father’s Day celebration occurred. 3. Harry Meek, president of the Lions’ Club branch in Chicago, created the first Father’s Day with his organization. It was celebrated in 1915 on the third Sunday of June, since that was a date very close to his birthday. Even though we don’t know exactly when the first Father’s Day was celebrated, we do know who promoted this holiday with a great passion. Mrs. John B. Dodd, who resided in Spokane Washington, felt that her father was outstanding and deserved to be honored. He had fought in the Civil War and had raised six children on his own after his wife had died. Mrs. Dodd spoke to her minister and other ministers around Spokane to see if they would have a church service that was solely dedicated to fathers. She wished this service to be held on June 5th, her father’s birthday. It was actually scheduled on June 19th however, since a June 5th date was not long enough for her minister to prepare such a service. After that, the whole state of Washington began celebrating “Father’s Day” on the third Sunday of June. Children prepared special meals and desserts as a treat for dad. If they happened to live apart, children would make an effort to visit. Other states and organizations now wanted an annual Father’s Day for the whole country. They began lobbying Congress to declare such a holiday. 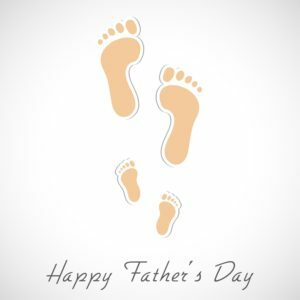 The idea of a “Father’s Day” was approved by President Woodrow Wilson in 1916, but it was not official until President Calvin Coolidge made it a national event in 1924. Now, we celebrate Father’s Day every third Sunday in June!